Joe Palooka was brain child of Ham Fisher. As a newspaper strip it began in April of 1930 after some arm twisting of the publisher McNaught Syndicate. But once Fisher sold them on it, the public ate it up and it quickly became one of the most popular characters of the era. 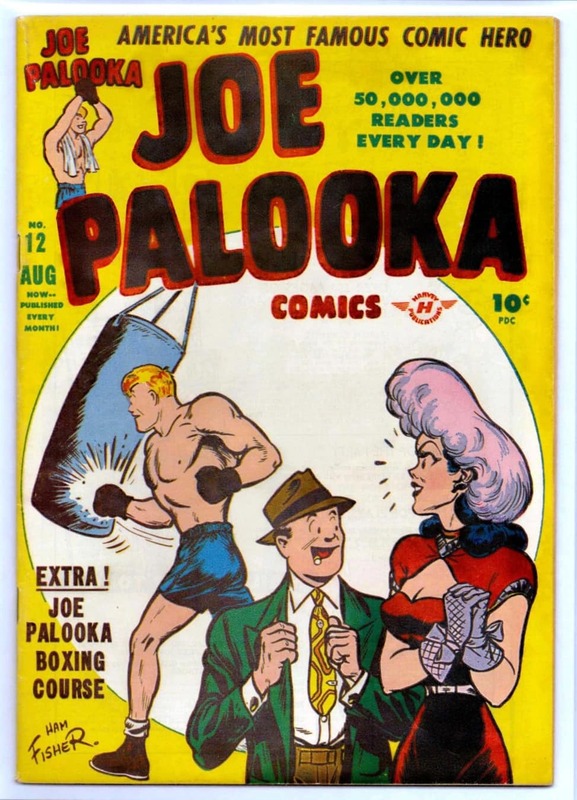 Palooka represented American blue collar, common man values – a man whose “his heart was pure and his ideals high” overcoming any intellectual shortcomings with strong character. He even got his own statue in Oolitic, Indiana in 1948. While the character was a success, Ham Fisher wasn’t particularly known for his artistic prowess (and did rely on ghost artists at some point). While these books are signed Ham Fisher – there is no knowledge as to whether they are ghosted. It is a bit of a stretch to call the women “good girl art” – they are rather blocky, thick and masculine, particularly #10 and #23 (the classic “Miss Atomic Blonde of 1948” cover). Given the differences compared with the attractive woman on the cover of #12 it would seem she may well have been ghosted. 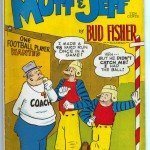 Licensed by Harvey Comics, they published 118 issues from November 1945 to March 1961.